1 - Proper digestion is key. No matter how many nutritious feeds/supplements you feed your horse, if they can't digest it properly, it's no use. You'll waste money and you'll probably end up doing more back than good. 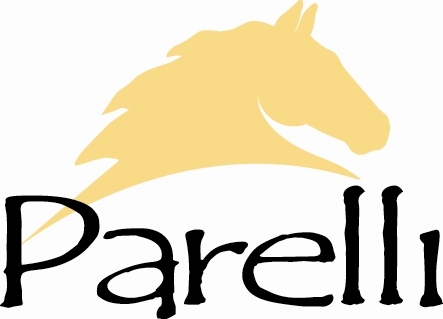 Parelli Essentials is a "supplement" that is essential to a healthy digestive system. This ties in with proper digestion. Horses need enough water in their bodies to keep themselves functioning properly and preventing dehydration. Sometimes horses don't consume enough water. Molasses water is key to keep horses drinking. Being a natural electrolyte, molasses is full of minerals and natural sugars. It's sweet taste will keep horses drinking, therefor increasing their intake of water. When feed our horses, most of what we feed them is far from what they would naturally eat in the wild. Wild horses eat forage, so all horses' diets should be based on that. Then add whole grains (oats/barley) and sunflower seeds, as well as Parelli Essentials. Fact is, most horses don't actually need supplements. Only horses in stressful circumstances should need supplements. For example, travel/performance, pregnancy, injury recovery, or harsh weather conditions are some of these stressful situation. Supplements that contain no chemicals, antibiotics, and drugs can be easily found. Some natural supplements are inositol, taurine, flaxseed oil, cod liver oil, ionic minerals, apple cider vinegar, Vitamin C, kelp, and probiotics. All horses, that I know at least, love getting treats. I usually feed fresh apples or carrots. Though many people I know feed their horses store bought treats. Most people who buy treats from the store have no idea what they're feeding their horse. Winnie's Cookies are organic, preservative free horse treat. You'll now know that you're doing your horse a favour with Winnie's Cookies. These tips are just an overview of how to feed your horse. Make sure you consult your veterinarian or an equine nutritionist before changing your horse's feed.